Who Still Has A Tape Deck? | What's Best Audio and Video Forum. The Best High End Audio Forum on the planet! Who Still Has A Tape Deck? I have several Nakamichi decks, with the 1000ZXL Limited and ZX-9 being my favorite. The 1000ZXL is breathtaking to record on and listen to. YouTube videos don’t even begin to capture the magic of these decks. Nakamichi Dragon and and have two Studer 810a. Kodo The Beat three arms, Dobbins Garrard301, Verier LaPlatine, Technics SP10 Mk2, Kuzma Air Tangent, Reed3P, Eminent Technology 2.5 with three armwands, FR 66S, FR64S, FR 24 ,SME 3012 Version 1 circa 58, Micro Seiki 303, Classe DR3b, Wytech Topaz 211, BAT VK6200, DarTZeel NHB108, DarTZeel NHB 18NS, Allnic H3000, McIntosh MR 78, MC225, MX110x, Wilson Audio Maxx II, Watt Puppy 5, Watch Dog, Watch center, JBL Hartsfield, Audio Research CD-7, 2x Studer 810a, nakamichi Dragon, KL Audio Vinyl cleaner, Nordost Valhalla interconnects and speaker cables, TEL power chords, Aural Symphonics power chords, Audience Ar12 20 amp version. I still have and use my Nakamichi CR-7. Cassette never went away for me in fact I use a combination of Sony Walkman Pro, Sony Walkman DC2 or Sony Walkman DD9 everyday for my commute to and from work. I owned a Technics RS-BX828 deck back in the late 90's. I regret selling it for pennies in mint condition before the cassette revival. If I were buying a used deck today, i'd search for a rare Tandberg TCD910, Willy Hermann-modded Nakamichi 1000ZXL or Nakamichi ZX-9 in good shape. I currently own two Nakamichi decks: the Dragon and the 700ZXL. Neither of them work, due to the infamous 'rot' of the drive belts, I think. Both are in excellent condition, and I have the original boxes, accessories, etc. I had stopped using them a couple of decades ago, and when I last turned them on, the lights came on, and there was some motor activity, but no tape advancement. When they last worked, the sound on them was phenomenal, and I could not really take listening to any other decks (I had heard Revox, Tandberg, H-K, Sony, Pioneer, etc., but none of them could capture the music the same way, especially in the highs). Now that analog is enjoying a resurgence, I am thinking about sending one/both in to be rehabbed...thoughts, everyone? Teehee don't think about it, just do it . My CR-7 goes in for a full service every 2 years or so. I've had many cassette decks in my audio life. The best one was an Akai GX-F31 which made me fantastic tapes of both records and CDs. I now only own and use a reel to reel deck. 100% mint condition everything works perfectly. WOW! Nak 1000ZXL! Someday I hope to be able to hear one of these machines. We used to debate about which deck was the GOAT, but I think this was probably it. What does everyone else think? My friend has 1000ZXL not the limited one and I have heard it, it is the best Nakamichi I have ever heard. Out of all the Nakamichi’s I have heard, if I had to pick only one then it would be the one I have which is the CR-7. The CR-7 is the best all-rounder as it’s fuss free and just get’s on with the job, no drama and the sound is not coloured like a 1000ZXL, ZX-9 or Dragon. Cool! I'm not considering getting back into cassettes, but those decks played a big part in my audio life growing up in the 70's. You never forget the first time you saw those machines in an audio store in the late 70's to early 80's. They were definitely WHAT'S BEST in their time. audioguy1958 Yes the 1000ZXL is humongous. I take it you are more of a Reel 2 Reel guy? Oh yes, definitely open reel. A well tuned Studer, etc. is superior to any cassette deck. Open reel is also vastly more expensive, needless to say. Prices for quality machines and pre-recorded reel tapes are pretty ridiculous nowadays. Still, its the memories I have growing up with the equipment of that time. Every audio guy I knew had at least two or three nice cassette decks. We would record all our LP's and swap tapes with each other. It's nice to keep a cassette deck around and listen to it once in a while. audioguy1958 yes Reel 2 Reel does sound fantastic, but I never went that route and I would not start now the admission price is high. Same with people that ask me about getting into cassette now are days, I say to them unless you have loads of cassettes already don’t. The price of admission is also high too and not worth the hassle. For me I never stopped using them, in fact I use them for my daily commute to and from work if you look at post 24 you will see some of my units. At home i just dig out the records and listen to that. 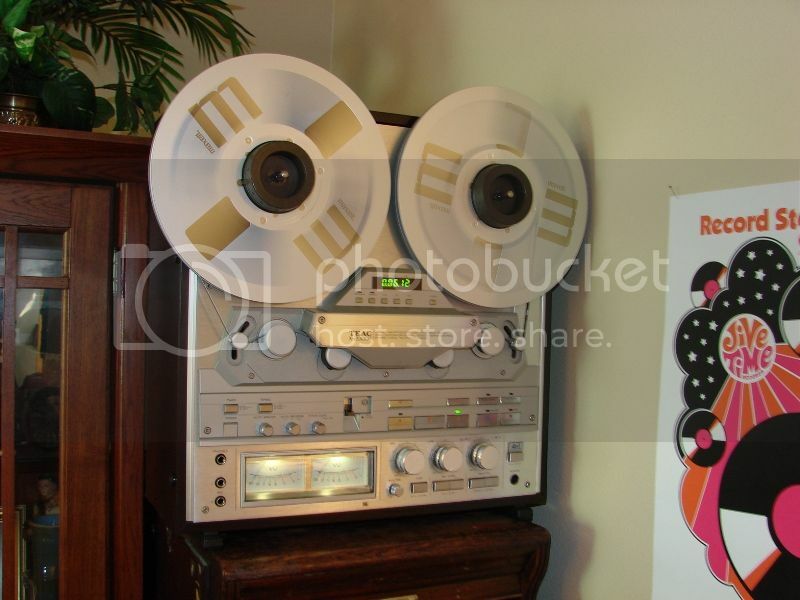 It would be nice if you could buy new tape with the best formulation available, like the Pyral open reel tape. The Pyral tapes are used on many new recordings and are far better than anything that was being sold in the 80's and 90's. I would imagine that cassettes made from the new tape would be very impressive. I have a stock pile of unopened TDK MA-XG's that i use, so i am okay on that front. I did listen to some nice new Reel 2 Reel recording at the Munich high end last may. I think Pyral rebranded their audio tape as 'Recording The Masters'. It should be the same tape as far as I know. It's very high quality with little to no discernable noise. I agree. NOS Sony Super Metal Master tapes for example now go for silly money on Ebay. So If Sony, TDK, Thats and others started producing improved Super Metal cassettes with higher grade tape, that would be a good sign and encourage manufacturers to produce new high end decks.